This also assumes that you have a reasonably reliable and well-serviced 4wd vehicle and a basic understanding of its operation. Essentially, all items to number eight should be addressed before you venture off into the great back of beyond. This is stuff you should have in the vehicle 24/7. Here are the basics. Should include basic items and also a bloodstopper kit. 2.5lb minimum ABC within reach of the driver. We like a down, rectangular sleeping bag for this. We typically store water in a Dromedary bag from MSR. 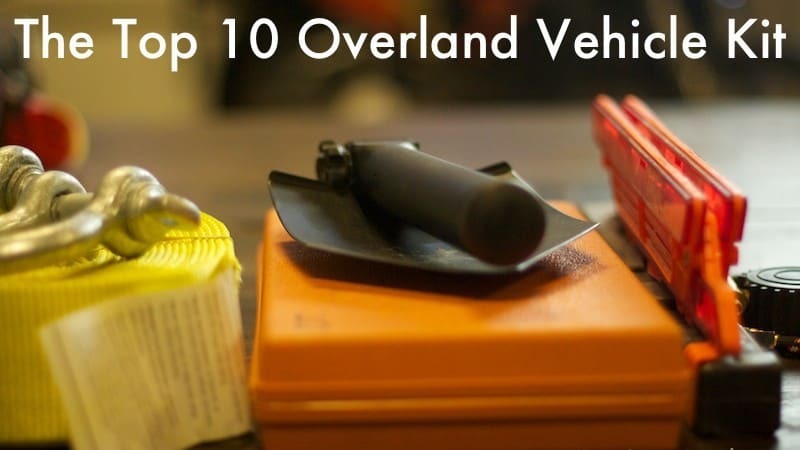 A complete bug-out bag is preferred, but even just starting with a small survival tool kit is sufficient for most adventures. Signaling, fire starting, and a few small tools does the trick. 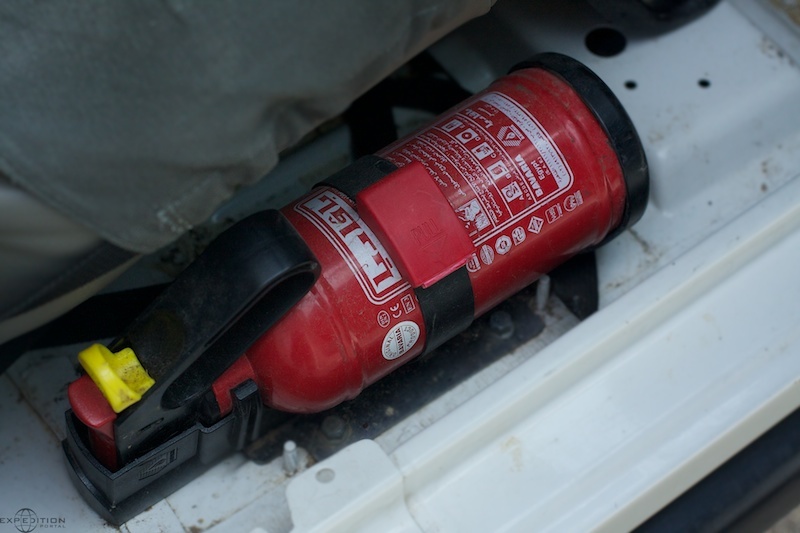 A fire extinguisher should be mounted in a place with easy access; this unit is mounted directly next to the driver. You need to have several means of navigation, starting with a paper map of the area. In the US, most states have a Benchmark Atlas that shows roads, trails, and natural features. 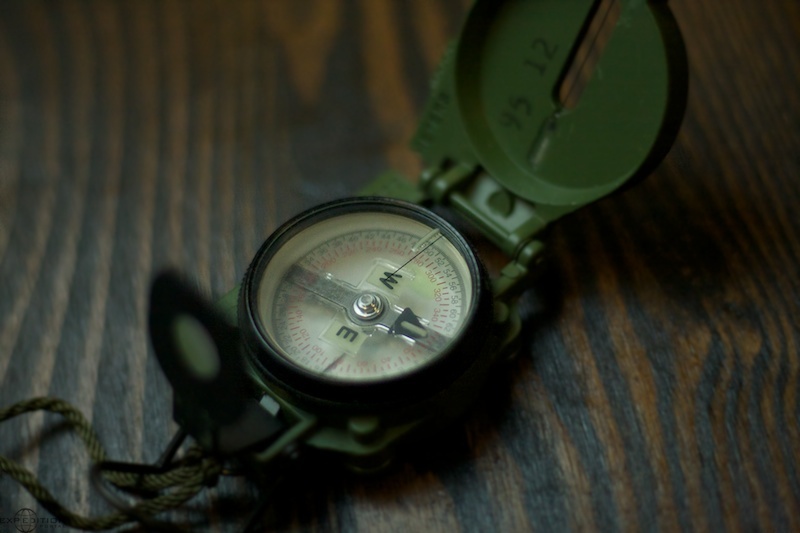 Buy a compass and learn how to triangulate with it. I prefer a lensatic compass. It is easy to make compass triangulation more complicated that it needs to be, but a basic understanding of triangulation, deviation, and variation are important. Electronic navigation aids are highly effective, but are subject to failure, dead batteries, etc. Use a GPS or smart phone with an understanding of their limitations. 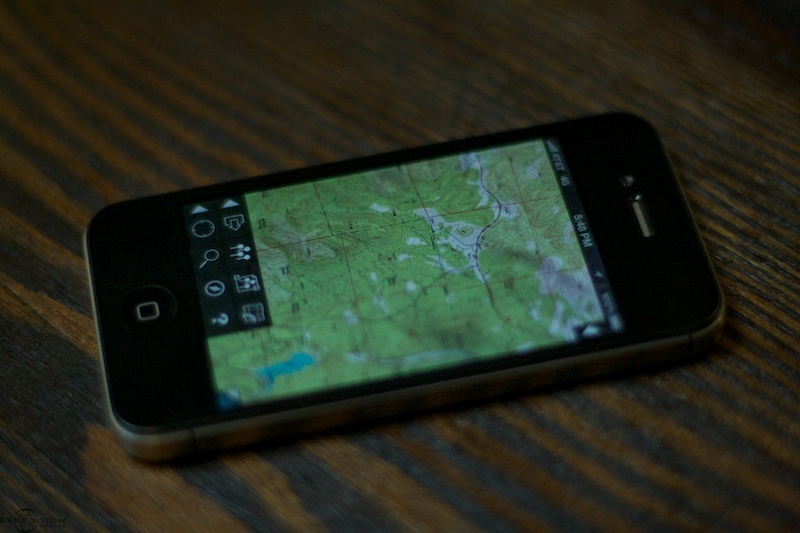 Note your location frequently on the paper map and pay attention to your surroundings. I find the Topo Maps app [link] on the iPhone with 7.5 minute USGS topo maps is extremely useful for exploring and has excellent detail and the benefit of the original cartographer’s notes. Have multiple means of communicating while in the backcountry. A HAM radio is most effective and with repeaters or HF you can easily communicate with other travelers or emergency services. A CB can also be a popular means of communication in 4wd clubs, but if you have 10 other rigs with you, then support is already there. For solo travel, a CB has little value or effectiveness. 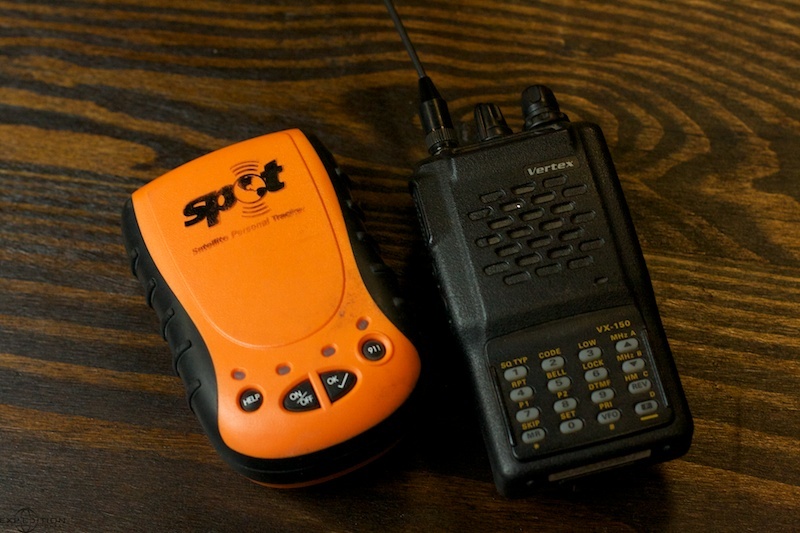 A popular secondary means of communication is the Spot device [link] or a PLB. Effective communications can mean the difference between a great story and a eulogy. Once basic survival, navigation, and communication is resolved, we can start to add equipment that supports the journey. In the case of tools and equipment, it is important to have a comprehensive, yet compact tool kit. Our recommended tool kit contents will be covered in a future article, but Blue-Point makes a nice car kit as a start and runs $359.95. There are other similar kits from companies like Crescent that are less expensive. You will also want to augment with a 12v repair kit and a small hardware kit. Finish with a spares kit that includes upper and lower radiator hoses, engine belts, fuel filter, and other known failure points. A 12v compressor should be included. 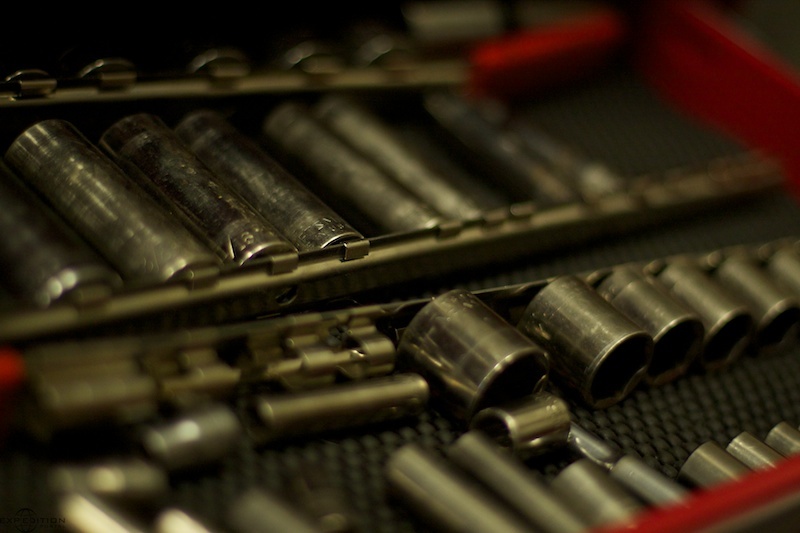 Note: An entire article will be devoted to the tools and spares kit. Remember, weight is an enemy of good handling and durability, so keep the weight low and items to the essential. 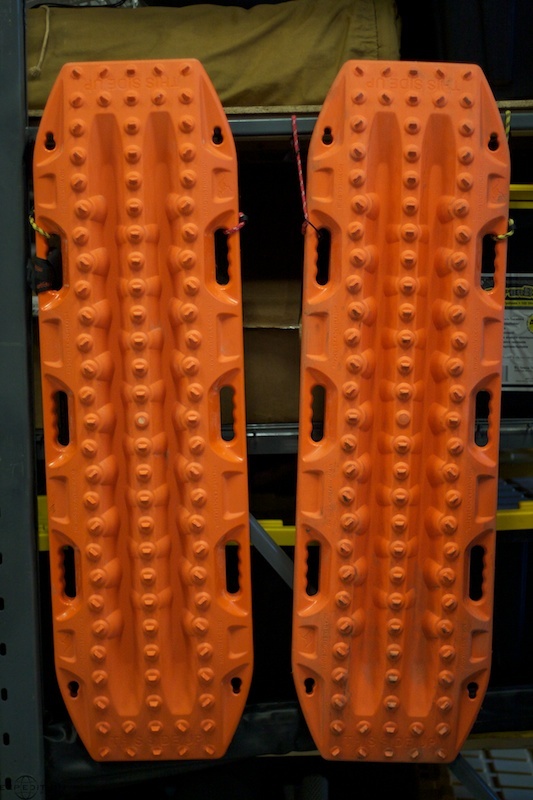 Before heading out into the backcountry, ensure that your vehicle has proper chassis mounted recovery points. It is important to understand the difference between a recovery point and a transport point. 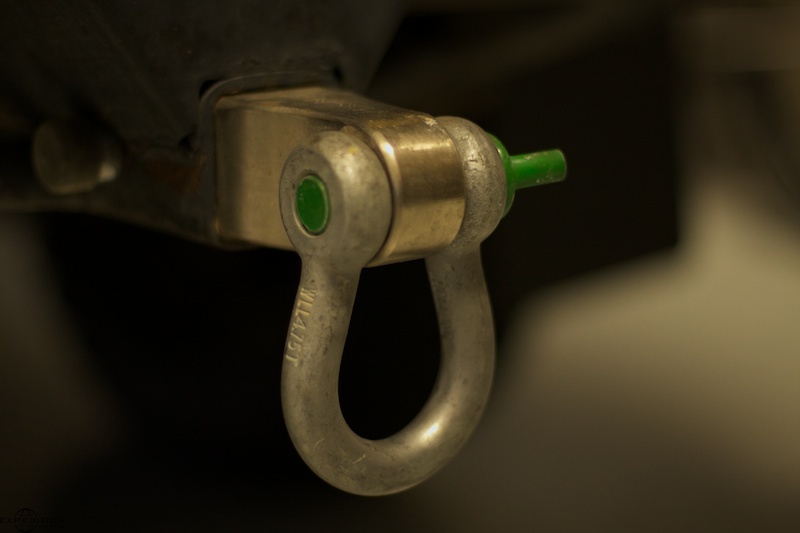 Most vehicles have transport loops or notches that are used to secure the vehicle to a ship deck, etc. These are not designed for the load of a recovery, which can easily exceed 1x GVWR. Some vehicles have impressive recovery points (The Jeep Wrangler with 2x GVWR) and others have wimpy recovery points (Toyota with .75 GVWR). Make sure your recovery points are rated to 1x GVWR minimum and 2x GVWR preferred. They should be on the front and the rear of the vehicle. A little red paint can make them obvious. A recovery kit can range from simple to extreme. For my round-the-world trip, we have a fully comprehensive kit that would allow a 300’+ winch pull. Given that this article focuses on the basics, this is our recommendation. Note: The argument can be made to bring 100 more items than this, but this is a proper basic kit. 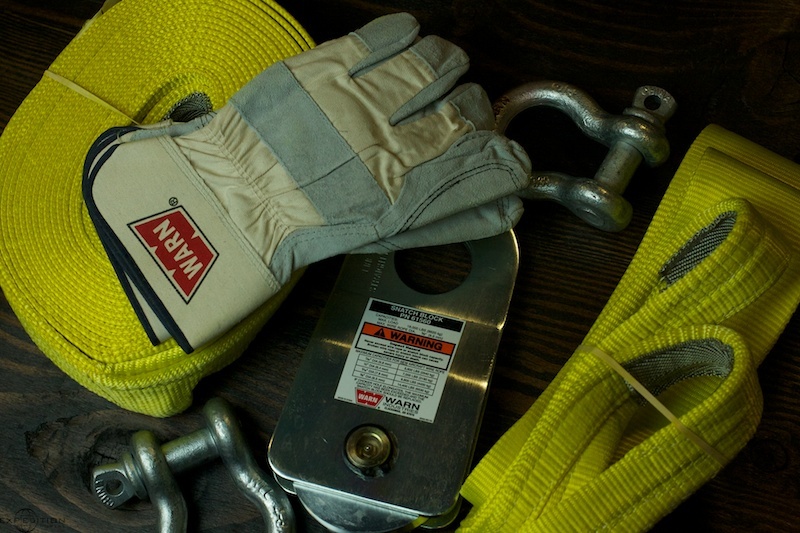 Proper loading and lashing is critical to occupant safety and equipment preservation. Anything hard or heavy needs to be secured and the best method for this is with ring or rail mounts. I like the simplicity of the transport loops Expedition Exchange [link] sells as well as the Mac’s Custom Tie Down [link] anchor plates. 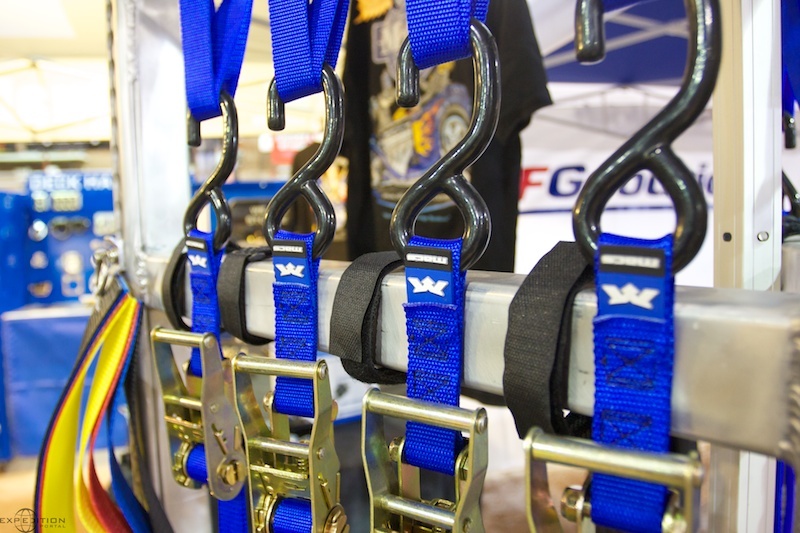 Once strong lashing points are fitted, secure the equipment using straps and ratchets with limited stretch. Bungee cords are not suitable. Tires are the most common failure mode on any vehicle adventure, so a high-quality brand with Light Truck rating and a strong sidewall are important attributes. 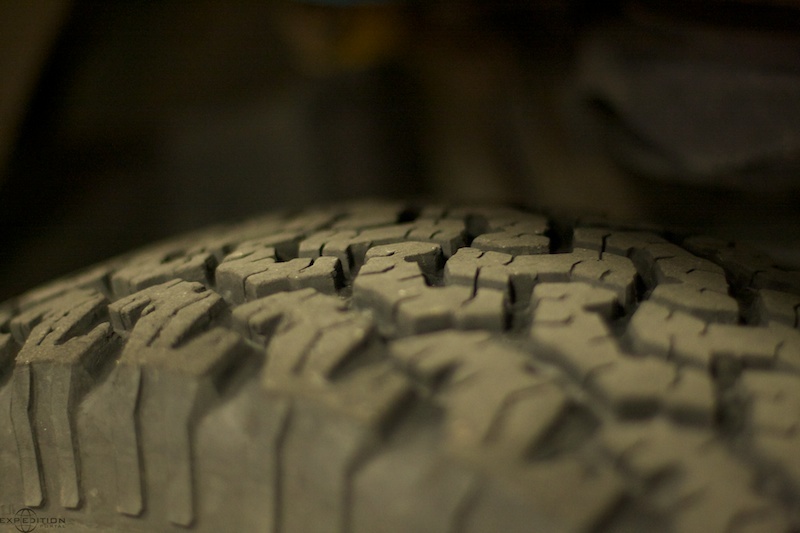 Typically, an all terrain tread is best practice, as it affords the best overall performance. Specialized terrain may require other tread designs. It is also recommended that you increase the tire size by one or two steps, but favoring an increase in height over an increase in width. For example, a Discovery I was fitted from the factory with 235/70 R16 tires. A good upgrade is a 245/75 R16, which fits without body modifications. This varies widely by vehicle and some trucks come stock with appropriate tires, like the Wrangler Rubicon for example. 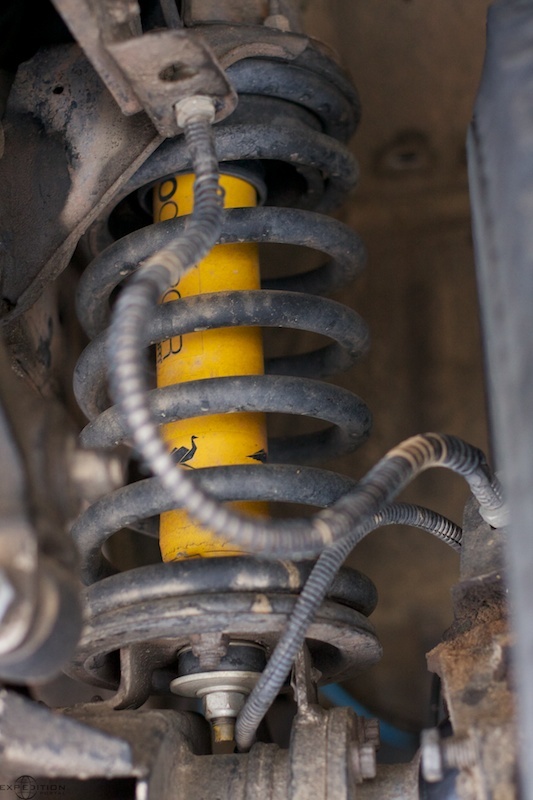 Most vehicles come from the factory with springs that are too soft and shocks that have limited fluid volume and geriatric valving. As a result, the vehicle handles poorly and sags from the load of equipment. For most exploration, the goal is not to simply make the truck taller, but to make it perform better with a load. Avoid ‘kits’ that only tout inches of ‘lift’. Look for manufactures that address load, handling, shock valving, and suspension geometry. Match the increased spring rate to your known equipment load and never exceed the vehicle’s GVWR. This last item is not cheap, but provides some important protection and self-reliance. Reality has shown that animal strikes are a real and constant threat on long trips and in remote areas. Hit a deer on a backroad without a good roo-bar and the trip is over. 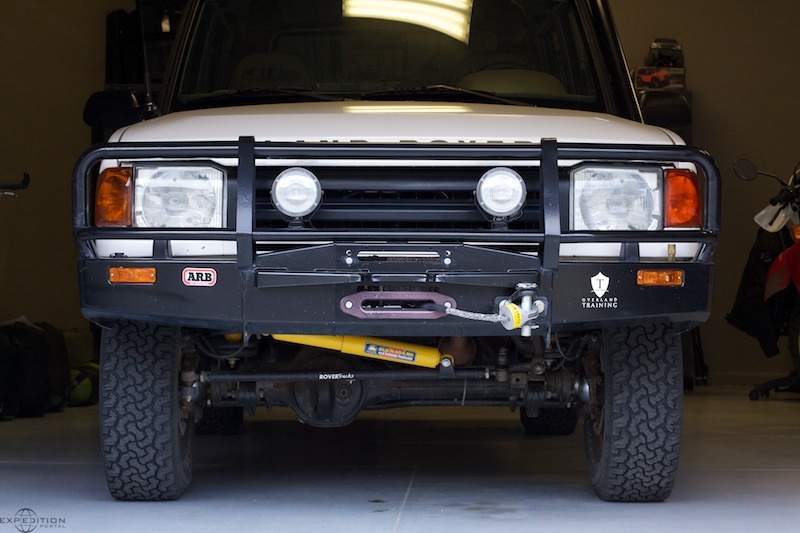 A quality bumper [link] will also provide recovery points and provision for an electric winch. 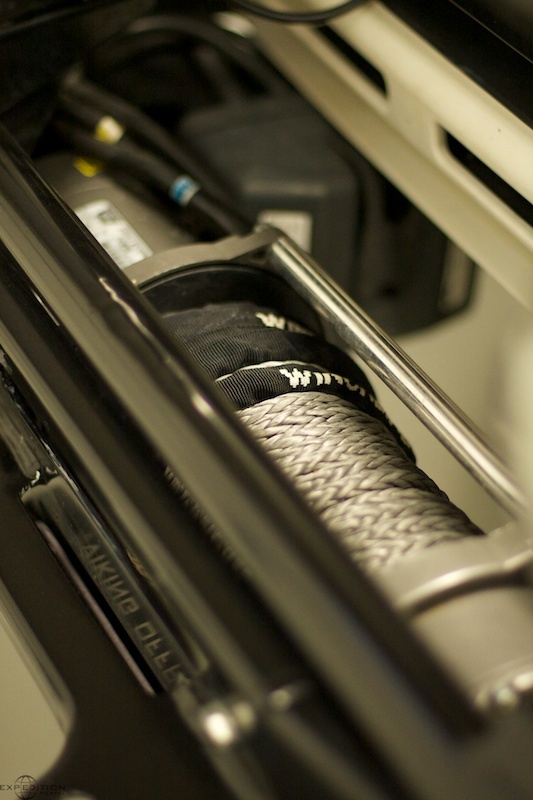 In most exploration and remote travel scenarios, a winch is an invaluable tool. Most stuck scenarios can be resolved with the recovery equipment listed above – a winch solves the others. 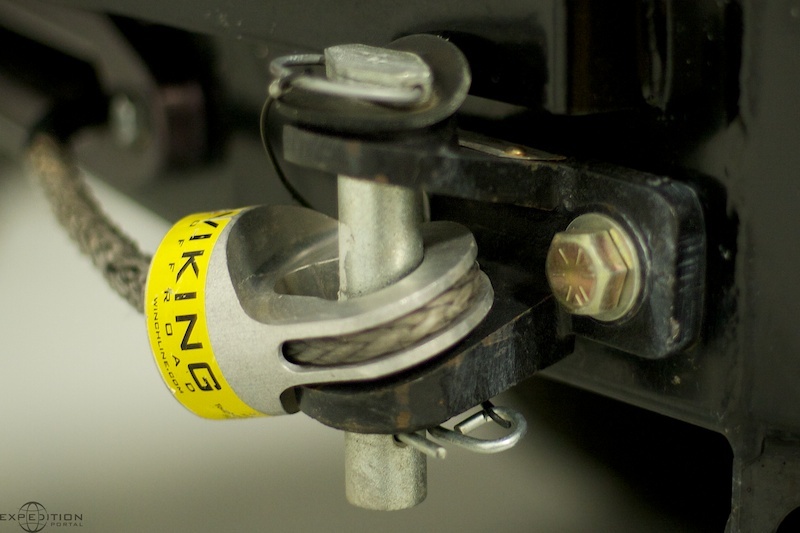 A winch requires additional equipment and training for safe and best use. In nearly all scenarios a winch should be installed before adding cross-axle differential locks and other traction devices. In an extreme scenario, a winch [link] provides greater control and slow progress, all while limiting the chance of a roll-over. This article is not intended to address camping and support equipment. 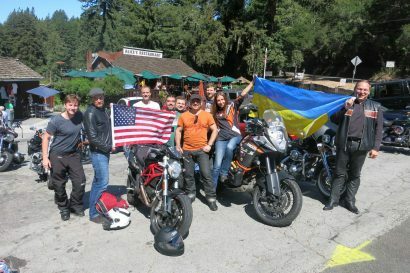 This article is not intended for recreational off-road travel in a club / large group, although most of the logic applies. 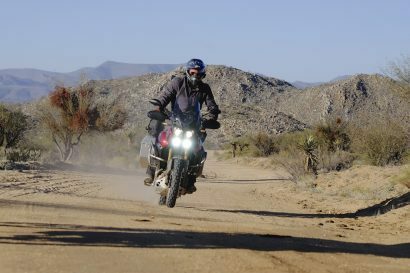 Scott Brady is an adventure traveler, publisher and photographer, best known for his overland travels by 4wd and adventure motorcycle on six continents and for being the founder of the website expeditionportal.com and the print publication Overland Journal (co-founder). As a driver, Scott is the only American to win the rugged Outback Challenge and has completed a full land circumnavigation of the Northern Hemisphere, starting in Prudhoe Bay, Alaska and ending in Magadan, Russia. Scott’s articles and photography have been featured in dozens of print publications and his adventures have been viewed on television programming in 120 countries. 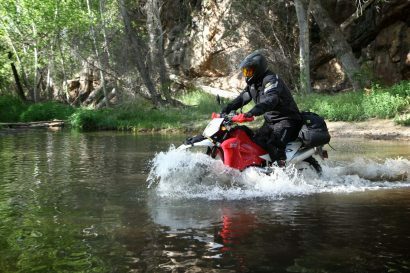 Scott lives in Prescott, Arizona and is currently completing a two-year, seven-continent expedition using Toyota VDJ78 Land Cruisers (Expeditions 7).